On loving yourself fiercely and staying present with what you really want instead of getting scared and running away. Negative thoughts are NOT reality, stop treating them like they are. Learn to recognize that negative voice for what it is–a dark shadow that’s longing to be part of the light that is your true self. Do not argue for your upsets. The more we entertain the negative voice, the more we affirm it. Doubt and fear are to be expected along the way. Right now you’re learning how to be persistent in spite of the possibility of your falling flat. It’s about your grit and resilience now. You must persist through the mud even though it will feel awful at times. don’t feed Darth Birdie’s minions! Effort can feel daunting because we’ve experienced failure in the past. We know what it’s like to have it go badly. We’ve fallen flat on our faces already and we’re not excited about the prospect of doing it again. Once in a while you’ll sit down feeling close to tears, entertaining thoughts of quitting and you’ll have this flash that you really just need a peanut butter and banana sandwich and a favorite episode of I Love Lucy. Don’t blow off that flash! Go do it, right now. Give yourself a rest and soon enough you’ll feel like getting back to it with a confident heart. Yes, there will be dragons. They will present themselves to you on this journey so that you can grow. Don’t hide in the closet while you wait for them to leave! What if we could walk toward our fear knowing it’s got valuable information? 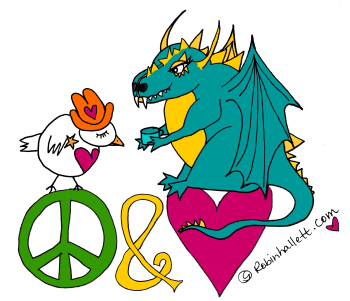 Make peace with your dragons. Learn their secrets. Getting to where you want to be takes courage – sometimes it’s like walking in the dark without a flashlight. I don’t particularly enjoy this but I do remind myself that doubt and fear are to be expected. It’s about allowing ourselves to persist through the muck. Can we hold the joy with the terror? Our self-doubt with our confidence? Can we learn to feel great while we’re waiting for all this success to manifest? Is it possible to work with passion, even if we’re also scared? Can we hold all of these aspects while continuing to move forward? 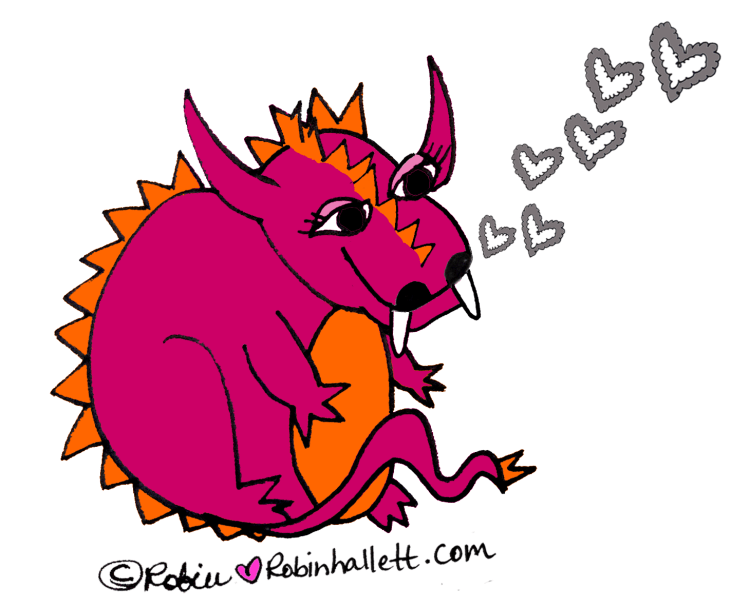 Next time you encounter a dragon, treat it as a friend, not your foe. Stop and ask it for directions, or offer a cup of tea and see what secrets it has to tell you. 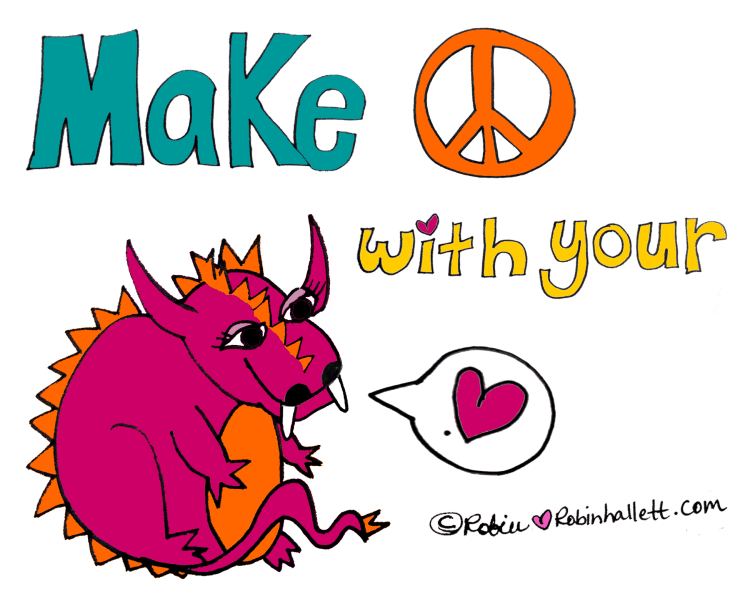 I’m sending peace and love to you, rock it like you mean it today! 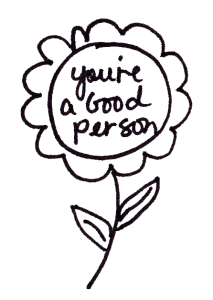 ⟵Some people are best loved from afar.